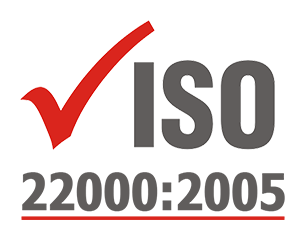 The company Vlatas M. - E. Xydakis Co. under its distinctive name Fresh Snack, has received ISO 22000:2005 certification for the food safety management system, the production, packaging and distribution of sandwiches, croissants, standard confectionery and fine baked products. The structure of the model is similar to the one of ISO 9001 and ISO 14001, thus creating the possibility of developing an integrated risk management system. If the company has already one of the ISO 9001 or ISO 14001 standards, the ISO 22000 standard can be smoothly integrated into the existing system. Food safety is a critical issue worldwide. The International Organization for Standardization (ISO) has developed a certification standard for food safety management systems in order to surpass global standards of food safety. Also, the ISO 22000 Standard , by providing a concrete implementation of HACCP along the entire food supply chain, is suitable for application to all interested parties in the chain. Therefore, the ISO 22000 Standard ensures ideal food production conditions, which are safe for the consumer.